Today I decided it was time to emerge from our cozy cocoon of home and do some exploring. Since Oscar was sick last week and then it snowed over the weekend, we really haven’t done very much other than the essential trips to get groceries and whatnot. So we were due for some adventure! We drove to Seaboard Station and looked in a couple shops for a while. I’ve been wanting to check out the new consignment room at the relocated Beanie + Cecil Baby for a while now. We didn’t find anything today, but will keep it on the list of shops to stop into regularly if only to drool over the pretty Dwell Baby bedding! 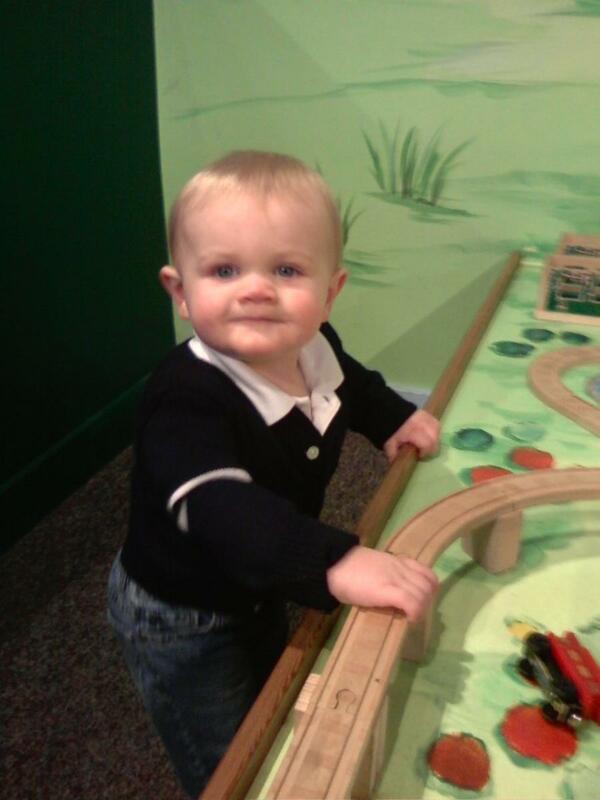 After our mini shopping trip, I decided to take Oscar to Marbles. Only instead of driving the mile there and back, we walked! It was a little colder than I realized once we got going. But overall it was very pleasant and I think Oscar really enjoyed looking around at all the sights and sounds of a downtown scene. Marbles was great! It’s the first time he has been since he has been walking independently (which is more and more each day) so I think it was a lot more fun for him. He could see everything better and was just going from station to station touching, spinning, throwing, playing. I just LOVE this age! Everything is so magical . We went to the new exhibit upstairs and as I predicted, he LOVED the ball area. I think he was in heaven! Balls to throw, balls to kick, balls to crawl around in and watch. He cried when it was time to go, but when I told him to say bye bye balls, he said it over and over and the tears stopped. Score! He was saying ball ball ball on the walk all the way back to the van. Once we got in, I gave him his prized picture of our family so he then switched to Dada Dada Dada and began kissing the picture over and over. Someone please scoop up my melted heart. My toddler loves Marbles, too! 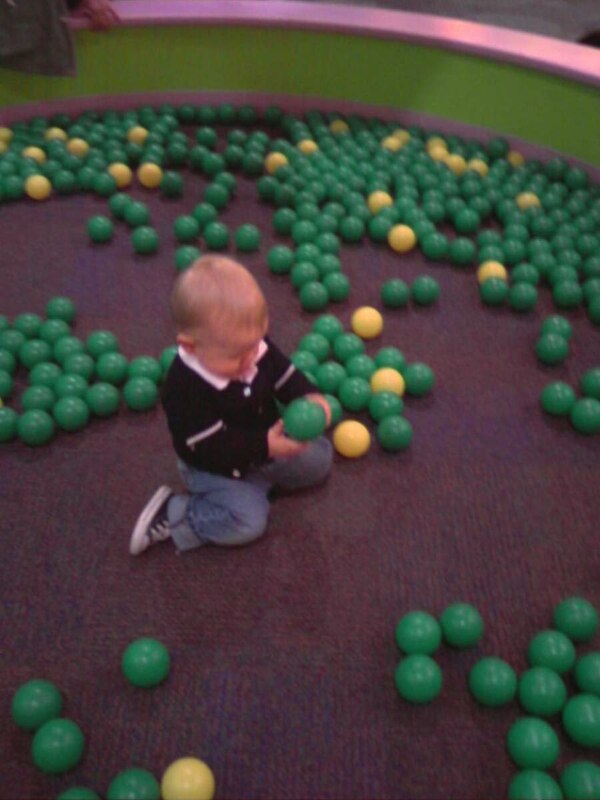 We discovered the new "room of balls" last week, and she was in total heaven. Especially funny when the big piggy bank spills open. Your Oscar is such a cutie!! Oh, Fiona loves Marbles! If you ever want company just let us know! Fiona loves the new ball exhibit. Wow, he is so cute! I just want to nibble on him.